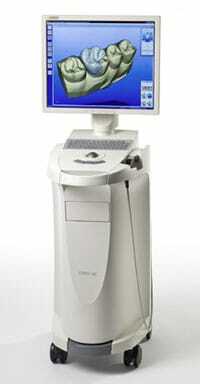 The CEREC computer controlled, milling restoration system has been designed especially for dental practices. CEREC technology is an advanced computerised system that enables our dental team to create and place highly detailed tooth-coloured fillings and restorations – in just a single appointment. During the procedure, your tooth is prepared and then scanned by the CEREC camera, which takes a 3D image of the area. Infrared waves are sent down to the preparation site and back to the camera, measuring the heights of your tooth structure, adjacent teeth, and surrounding tissue. Your final restoration is then designed and fabricated from this scan and is automatically milled from a solid block of ceramic. 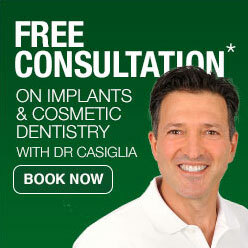 The result is a perfect, quality long-lasting restoration – all in one appointment. There’s no longer any need for impression taking, temporaries or unnecessary reduction of healthy tooth structure. CEREC can be used to create ceramic crowns, veneers and fillings that look, feel and function just like natural teeth. It provides quality and longevity that can’t be matched by any other procedure or material. For examples of our clinical restorations using the latest CEREC CAD-CAM technology, please visit our CEREC Gallery. If we want to know more about this technology, feel free to talk to us on (02) 9420 5050! Our location is 1 Finlayson St Lane Cove NSW 2066.